I'm a beginner. I'm using Ultimaker 2, with PLA, 2.8mm, 210 °C. I tried to lower the temperature, and also to increase the moving speed, without resolving the problem. Do you have any idea of what's happening? Thanks. Shell thickness of 1.0mm is bad - this can result in horrible prints because it is trying to squirt out 1mm of filament with a .4mm nozzle in 2 passes (.5mm each pass) which can give you bad underextrusion. That's probably not the problem I see in your print but still - FIX THAT RIGHT AWAY. You want shell thickness to ALWAYS be an integral multiple of nozzle size. I would go into the tune menu while it is printing and just slow it down and cool it down. 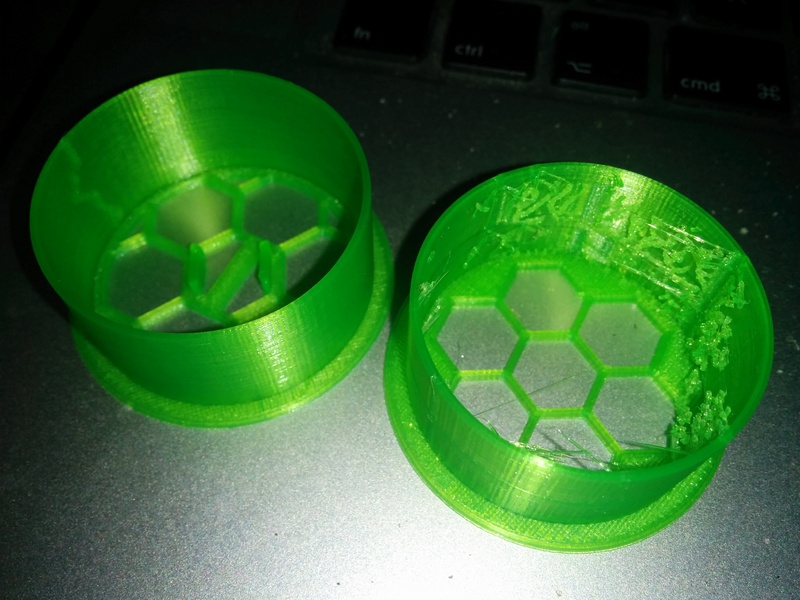 Try printing at 50% feedrate and lower by 10C and see if that helps the quality. This stuff inside your cylinder however should remove very easily. I'm not certain what is causing that - probably bad retraction - but I can't imagine why it would happen on one print and not the other. I have had this on hollow parts too. I don't have a solution. For some reason the slicer decides to make travel moves across the opening. I can't see any reasoning for this since its a single island model. 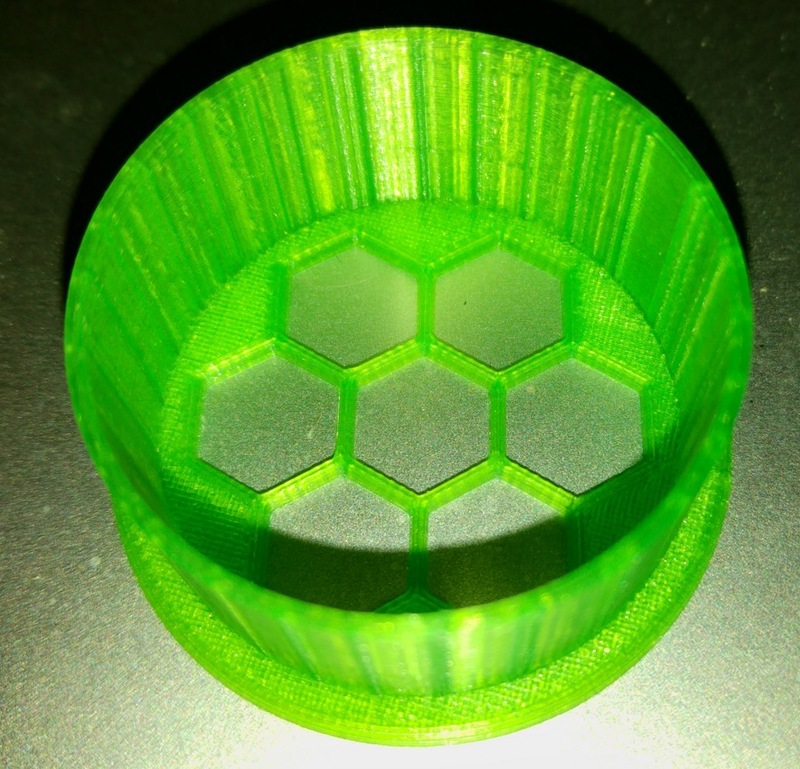 What settings would cause the slicer to cut across the center? Is combing turned on for the LH print and not for the RH? If you have "combing" turned on it should try to stay within the walls of the cylinder but if you have combing turned off then it will go right across the cylinder like that. Setting infill to 0% might help. A lot. Very thin walls like this are tricky for Cura. You want shell thickness to ALWAYS be an integral multiple of nozzle size.